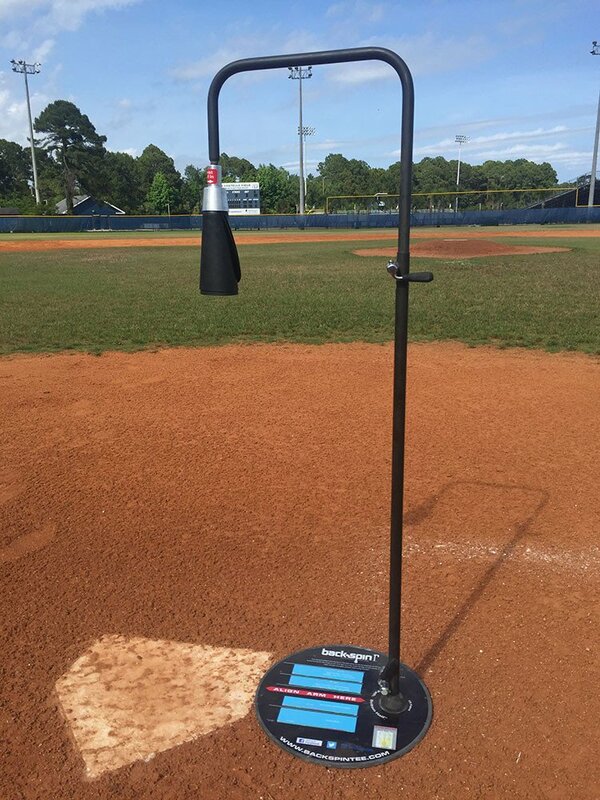 Cargo Cult Science May Be Causing You To Lose Out On "The Truth"
I’ve never used the backspin tee, but I started back in coaching probably 15 years after my college days when my son started playing. I had learned most everything I know from hitting initially from Doyle and FSU baseball camps coming up. When I got back into it, I worked with a fairly renown and successful college girls softball coach. His teaching was about shifting weight to the front side and hitting the bottom of the ball to get backspin. This encouraged an almost downward swing on the ball. Since I left baseball, I, like many, took up golf. In golf, backspin kills distance. The friction produced by high revolution backwards makes the ball sort of stand up instead of carry. In golf, you want a knuckle ball or a little bit of top spin off of a drive to get distance. If you don’t believe me, put some Carmex on the face of a driver and see how much more distance you get. That’s why the pros always wipe the sweat off of their nose or forehead before the wipe the face of their clubs, to get some oil on the surface and minimize spin. After a couple of years with the kids, I found the same in baseball and changed my teaching some. The line drives and fly balls the kids were hitting were hanging in the air too long and getting caught. I began making sure their hands started a little lower and their bat plane was on the same angle or even coming from underneath the ball plane a little. It produced a lot more hard line drives and got them rattling the fence a lot more over the next few years. I think backspin is great for someone that has a lot of strength and power, or on the short fences used in girls softball, but can produce a lot of easy fly ball outs in baseball. I am a mechanical engineer, so I understand the thought behind it, but if you take the extreme of backspin, it produces an infield pop-up, maybe even to the catcher. That’s why a catcher should turn around on a high pop-up. The extreme of top spin produces a high hopping ground ball. The trick is to be almost neutral, but if they fail on the side of topspin, they have a lot better odds of finding a hole or a defensive mistake to get on base. As they get older, they can modify their swing some in situations to hit either a fly ball for a sac fly or a ground ball on a hit and run. But when younger, getting their front foot down early enough and staying behind the ball with a good swing plane seems to me to produce better timing and more solid contact. I’ve watched video from most every great hitter and watch the great hitting teams we face, and all of their swings look almost identical when you look at the basics. Swing planes are from down to up, back palm stays up for a long time, weight shift is almost violent to the front foot (but settles back to the back foot after the swing because of the power angle), and they have a strong shoulder turn on their load. If they are a little late or early, it doesn’t matter, because the bat stays on plane with the ball for a long time so they have power to all fields. I guess my point is you may want to do the same experiment in the field with a full defense and chart outs vs hits as well as without a defense and chart the total distance the balls travel. Hey Joey, great experiment. My question to you is why the reduction in right/left hits with the Backspin Tee, is it simply because you’re watching the bottom half of the ball or is there something else affecting that outcome? Good question Ryan…and not one I have an answer to. I thought maybe because my swing plane changed switching to a traditional tee, which caused a little premature rolling over?? ?